I hate to lump these amazing and lovely games into one article, but they are all on the short side. Short enough you can probably beat all three in one day. I, personally, love small games like this, especially with my video game time at a premium (it is Tuesday night and I have just shy of 20 hours logged in at work for the week), mainly because you can get a whole experience and not feel like you are rushing though a game. 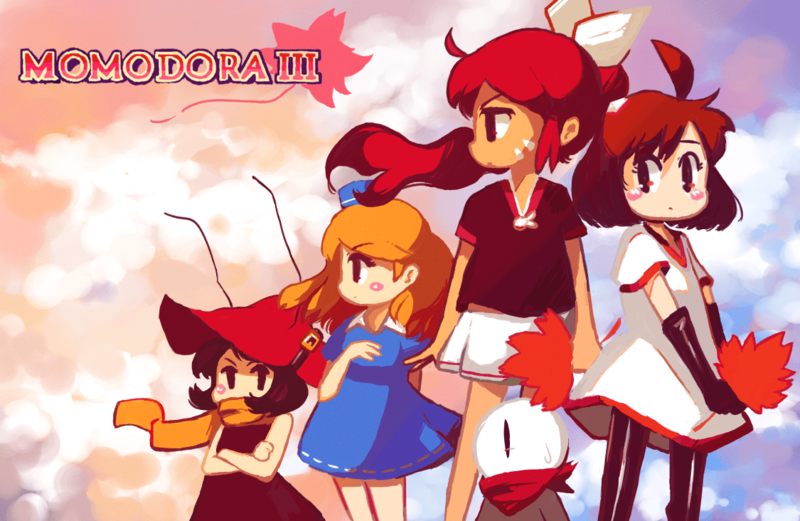 The Momodora series has you play as maidens Isadora (Momodora I) and Momo (Momodora II) who both wield an enchanted leaf as a weapon, and strive to make the lives in their villages better. No saving aristocrats here, they are all safe in their fluffy beds somewhere. I’ve noticed this actually seems to be a theme with games where women are the leading character, everything is for the common good. In many ways it’s similar to a Call of Duty game, where your character fights so others don’t have to. 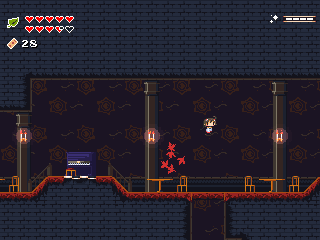 The first two Momodora’s play like a “metroid-vania” that are HEAVILY inspired by Cave Story. As a huge Cave Story fan myself, I can say that is never a bad thing. The third game is a departure from the previous two, and plays more like a standard platformer. However, all three games are just drenched in a really beautiful Japanese design. Speaking of design, one of the best minor design decisions I have ever seen is the save feature in this series. In the second game, there are bells strewn about the map, and you simply strike the bell and “bam!” your progress is saved. In the third game, a menu had to be added, so instead of striking the bell, you offer up prayers to the Gods. The only other time I noticed such a cool save system was in Ico, where the two characters took a rest on a stone couch. The only problem with all three games is the lack of controller support. Fortunately, that can be remedied by downloading JoyToKey software, and I suggest using something with a nice d-pad. Have you played any Momodora games? Leave us a comment to let us know what you thought of them and consider supporting the fourth game.